How are you doing?? I wanted to buy something from blisscovered after I got their first box (shown here). So I went ahead and ordered for a MUFE lipgloss in chrome (hazel nut). 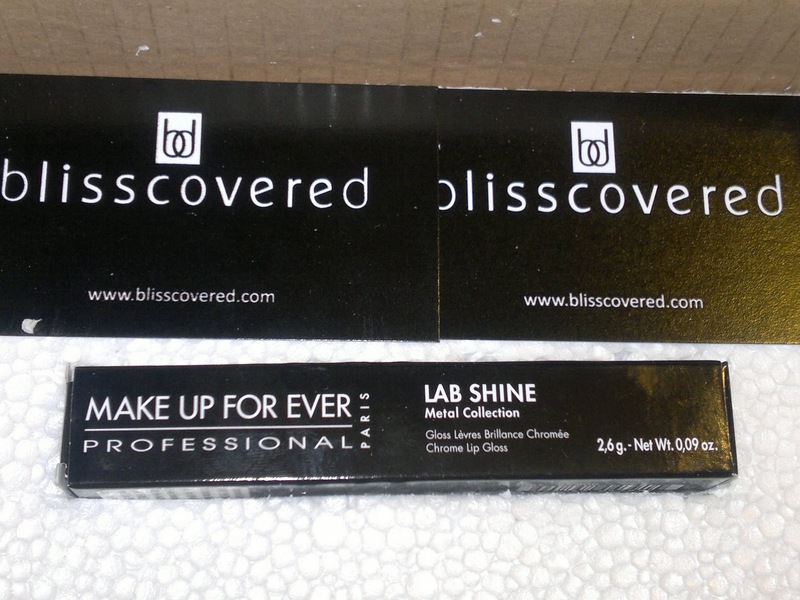 I ordered on Tuesday and Monday morning I received my gloss. Wanted to share the pics of the haul with you. It came safely and securely packed in a cardboard box filled with thermocol. And here is the gloss (yay my first MUFE product!!!). 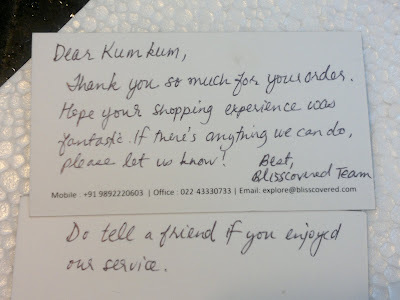 Also I got a handwritten note from blisscovered. Check out their site for more colour options. Would be doing a review on the lipgloss soon. 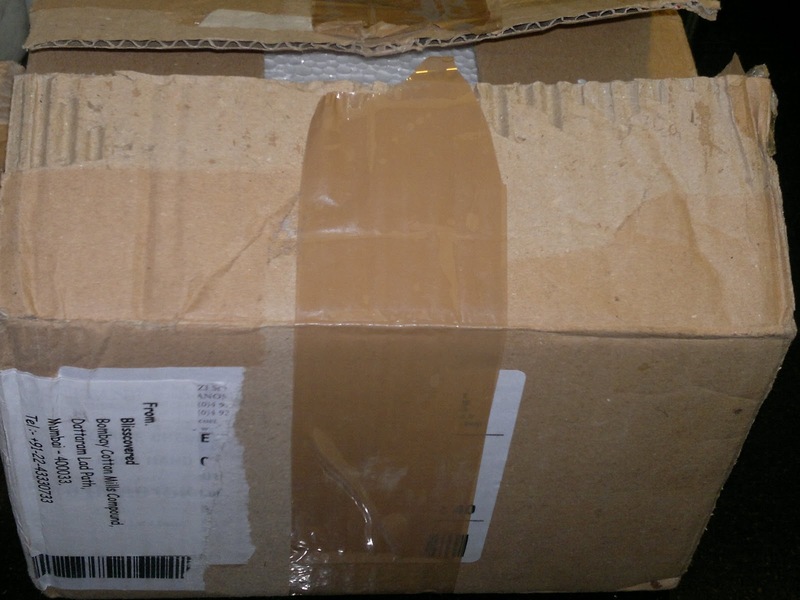 Glad you received your package! Hope you enjoy the great lip gloss! thanks for your prompt customer service.